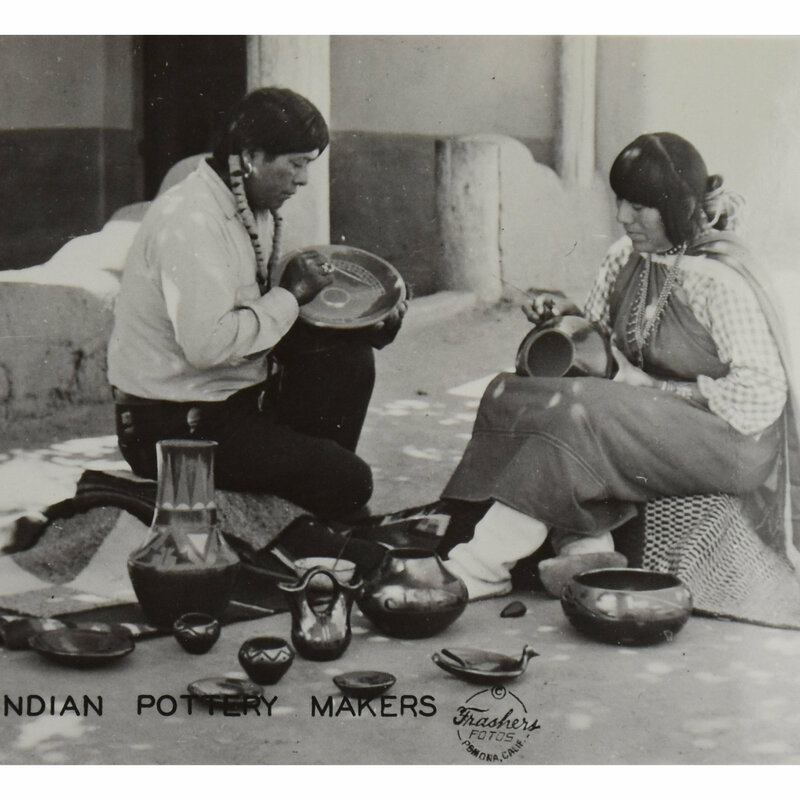 Tonita Roybal remains one of the great innovative names in San Ildefonso pottery. This is a very early plate by Tonita. 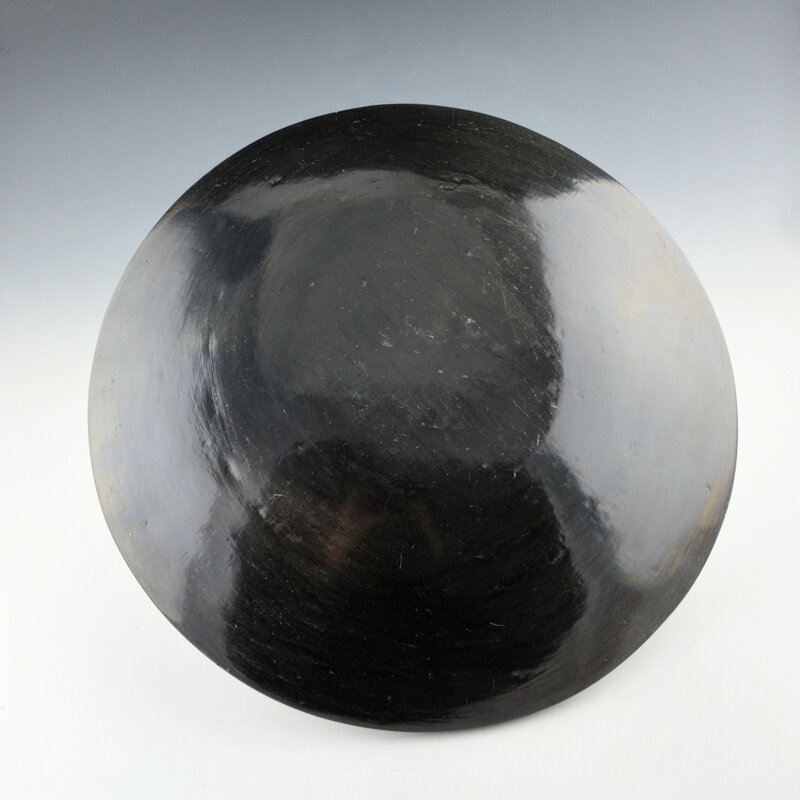 The entire piece is fully polished, including the front and back. On the front, it is painted with a feather pattern in the center. The feathers are the early style, as now how the rectangular matte area is at the center of each feather. Later, they potters would move the rectangular section off to the side. 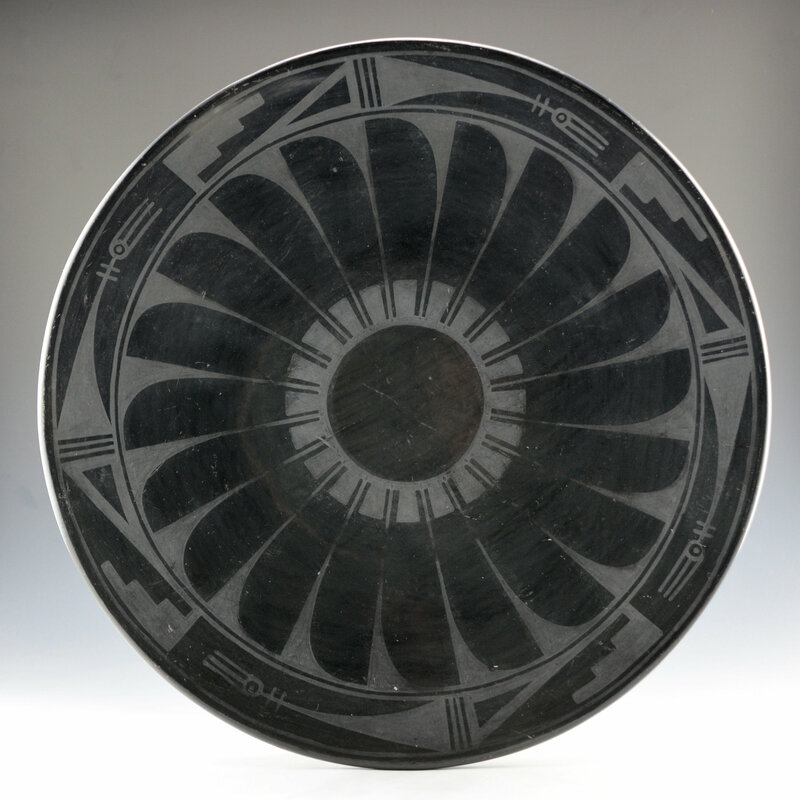 This earlier style is more reflective of the Mimbres pottery feather patterns. Around the rim of the plate is a cloud and rain design. The circular design with three lines on the rim of the plate was described as a “tassel on a man’s dance belt” by Maria Martinez in 1925. The plate is fired a deep black. It is in good condition with no chips, cracks, restoration, or repair. 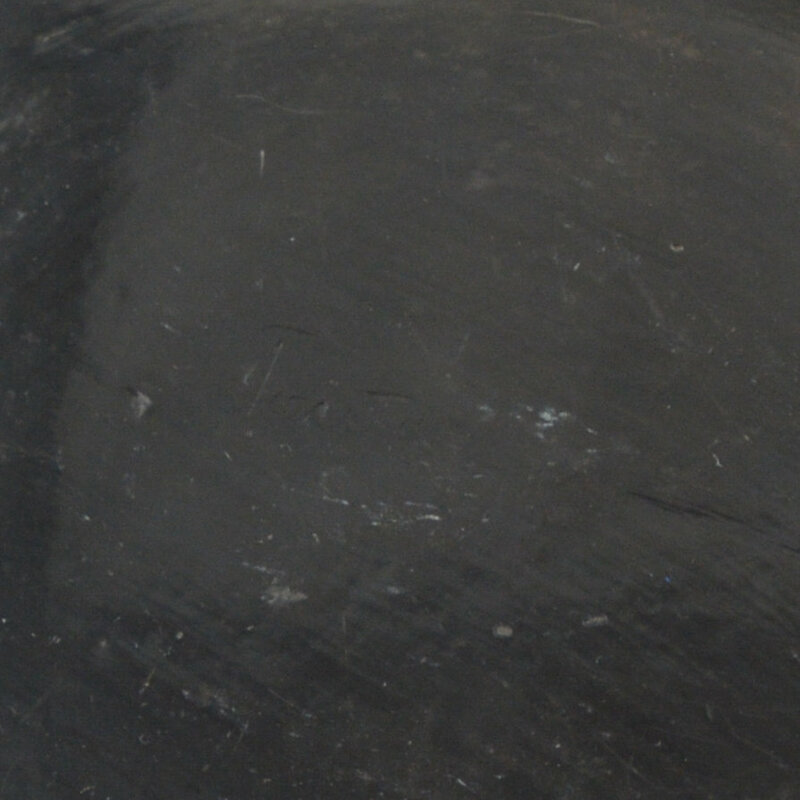 There are some surface scratched, one of which is in the center plainware area. However, considering it’s age and the size, they are not exceptionally unusual or distracting. The plate is signed on the back “Tonita”. It is her earliest signature which is very tight and compact. Definitely a striking piece for its size!